Hello and welcome to the College of Letters & Science. Allow us to introduce ourselves. We are Paula Bautista and Tanya Higuera. 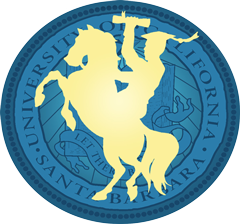 We are academic advisors in the UC Santa Barbara College of Letters & Science. We work specifically with international students on questions about requirements to obtain their UCSB degrees, as well as EAP Reciprocity Students. Our office is located in 1117 Cheadle Hall and students may see us by appointment or on Friday mornings from 9:00-11:30 am on a walk-in basis. To schedule an appointment, please come to 1117 Cheadle Hall or call (805) 893-2038 between the hours of 9:30-11:30 a.m. and 1:00-3:30 p.m., Monday through Friday. Note: the content of these pages is designed for students who have been formally admitted to UCSB or are participating in the EAP Reciprocal exchange program. International students registered in courses through UCSB Extension only (and who have never been admitted to UCSB) should contact the Extension office regarding any questions. Can I do coursework in my home country over summer? Need a signature on an OISS Form?